If you’re looking to build muscle, tone your body and get a great all-over body workout, then it’s hard to top the ease, convenience, and flexibility of the Bowflex Xtreme all in one workout machine. 210lb of resistance from Power Rod Technology. This is a top-of-the-line machine from Bowflex that offers a stunning variety of more than 70 different exercises. 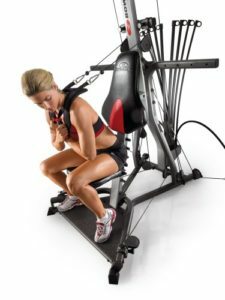 To put that into context, competitor all in one machines at the same price point only offer 20-25 different exercises. The Xtreme 2 SE offers 24 different exercises for the arms alone. 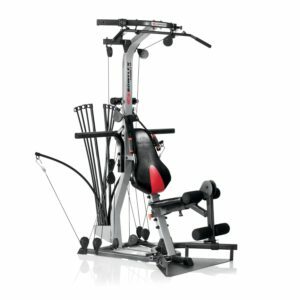 In terms of the overall Bowflex range, the Xtreme 2 SE is more advanced and feature-packed than the Blaze, but more affordable than the Revolution, which costs nearly twice as much. Why not get straight into the beautiful and buffed body you want? 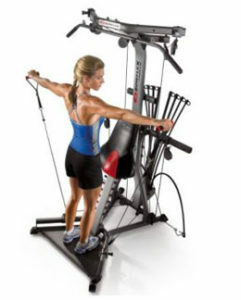 Click here now for the Bowflex Xtreme latest price and available discounts. To be able to get the full value out of your compact Bowflex Xtreme compact home gym, you’ll have to first understand all of the ways you can use it as part of a basic 30-minute workout. Most physicians and medical practitioners recommend a minimum of 30 minutes of exercise daily to get all the health benefits, so if you’re a beginner, it’s best to start with a 30-minute routine and build from there. With the Bowflex Xtreme 2 SE, it’s easy to design a very effective 30-minute workout. A basic 30-minute workout would hit your biceps and triceps, your chest and back, your shoulders, your abs and your legs. As you get stronger, you’ll soon be able to break each day of the week into a different exercise for a different part of your body. That’s because you probably don’t want to be hitting the same body part day in and day out – you need to give it some time to heal and recuperate (and get bigger!). And that’s where the Bowflex Xtreme really shines. There are so many different ways to hit each body part, so exercising never feels like doing exactly the same exercise, over and over again. For example, take your arms. You might think that there’s only one way to work the bicep – the classic biceps curl. But the Bowflex Xtreme gives you the option of the seated biceps curl, the standing biceps curl, the concentration biceps curl, the hammer biceps curl, the barbell biceps curl, the reverse barbell biceps curl and the seated hammer biceps curl. 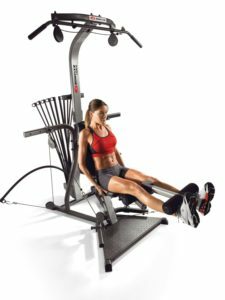 In short, the major benefit of having a compact home gym like the Bowflex Xtreme is that you are able to complete entire circuits for a specific body part very quickly. 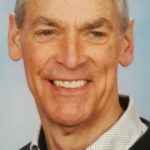 If you’re using the high-intensity interval training (HIIT) methodology, this is something that’s important. You want to get your heart rate up as high as possible, and the only way you can do that is by moving quickly between sets. Keep in mind, however, that you never want to rush a single rep on any machine. That’s because you want the muscle to move through the entire range of motion. And you don’t want to “cheat” by letting gravity do all the work. If you watch the professionals work out, you’ll notice that they sometimes appear to rest mid-way through a rep, just to make sure that gravity doesn’t make it easier to bring a weight back down. a squat station to work your glutes, hamstrings and quads. It all comes in an attractive vertical design that’s relatively compact given all the exercises possible on the machine. In fact, one of the major selling points of the Bowflex Xtreme is that it’s so compact. That means it only occupies a limited footprint in your home. Nobody wants a machine that’s going to take up the whole living room! The total workout area required is 8 feet x 6 ½ feet, which is smaller than most rooms in even the tiniest apartments. If the Bowflex Xtreme sounds just right for you, click the link now for great current discounts at Amazon. What makes the Bowflex Xtreme different from the other machines out in the marketplace is what Bowflex calls “Power Rod Technology.” If you’ve seen the Bowflex infomercials, you know what this “Power Rod Technology” looks like. Instead of a weight stack for the machine, you have flexible rods that appear to bend. You’re getting the same resistance as if you were using weight stacks, but delivered via cables and pulleys. The first time you use the Bowflex Xtreme, it may take some getting used to the Power Rods. After all, most membership gyms don’t use these machines – they use only the classic weight stack machines with the pins for the weight stocks. That’s why you hear the constant loud clanging of weights in the gym – there’s a physical metal weight that keeps moving up and down. With the Bowflex, you don’t have that weight stack, so it’s a much more fluid (and less noisy!) experience. It may not be whisper-quiet, but it won’t wake the kids if you decide to work out late at night! The real selling point of the all in one machine is the ability to complete such a wide range of exercises within such a compact space. This makes it possible to customize and personalize the Bowflex Xtreme depending on your fitness level, age and specific health and wellness goals. If you’re looking to build bulk and muscle, you’ll love the ability to get 210 pounds of resistance on the Bowflex. (And that’s upgradable to 310 pounds and 410 pounds, if you’re really maxing out). And if you’re looking for targeting and toning, you’ll love the ability to hit every part of your body very effectively. Finally, if you’re an older individual with health issues, you can use the Bowflex system to create a customized routine to fit your daily life. You can create a HIIT routine to capture the full cardiovascular benefit of any workout, for a strong and healthy heart. And you can work out your back (to prevent any posture problems later), or your legs (to get up and down steps quickly). Each Bowflex Xtreme machine comes with a handy instructional guide, so you’ll have plenty of help in setting up a program that works for you. Just remember to think in terms of creating a circuit, in which you are progressively working each part of your body before moving on to the next exercise. The point of an all-in-one compact gym is not just to super-set a specific body part – it’s to get that all-over, toned look and that’s exactly what the Bowflex Xtreme 2 SE delivers. And don’t forget – as you get stronger, you can add more weight and extend the time of each exercise session. You might start out with the basic 30-minute routine, but quickly move on to a 45-minute or 1-hour session. In less time than you ever thought possible, you’ll be getting the body you always wanted! Now you know all you need to know, let’s get started. You’re ready, go for it, get the Bowflex Xtreme latest price and discounts, click right now!